Working at height techniques apply to everyone. But we all work in different ways. So Leading Edge courses come in different flavours too. Choose a Trade Sphere when you book a course and we'll customise it with information, imagery, equipment and exercises that relate directly to your trade. Gain a height access solution for any general industry that requires protection from edge exposure in the workplace. This includes, but is not limited to, theatre, marine, public building access, industrial units, manufacturing and infrastructure services etc. The course typically provides a wide skill-set to work in many situations, however if you have a specific general industry trade not covered by our spheres, have a word with our instructors. We’ll help you find a bespoke solution and customise the course to suit your personal needs. Leading Edge Work is a generalist sphere suited to construction workers exposed to a variety of edges, or those with multiple job roles requiring a broad knowledge of height safety principles and practices. While we aim to cover an assortment of working at height techniques to access multiple edges across horizontal and vertical planes, the course is also highly adaptable, so if you have a construction trade not covered by other spheres pick this one and our instructors will tailor the course around your specific height access requirements. Whether you’re operating roof plants and cranes, traversing gantries and walkaways or climbing racking, factories and warehouses expose you to a wide range of fall hazards. To cover all your bases we’ll give you the skill-set to solve the height access challenges you face on a daily basis. By the end of the course you’ll be confident in your ability to select, set-up and operate appropriate equipment for the prevention of slips, trips, falls and pendulum in the factory and warehouse environment. Learn how to access and traverse a spectrum of machines and plants including cranes, diggers, excavators and dozers. As a plant and machinery operator, working close to the ground poses specific challenges, as many work at height protection systems require a minimum fall distance to engage. To get around this you’ll learn how to utilise two systems in unison: a primary fall restraint system backed up with a secondary pendulum prevention system. The combination maintains mobility while ensuring ultimate fall safety at any height with plants and machinery. Get the skills to work on all types of flat and pitched roofs. Whether they be glass atriums, new builds, asphalt, membrane, concrete, profiled metal or tiled, you’ll learn how to use existing roof systems, select anchorage locations and adopt temporary measures when permanent ones are unavailable. You’ll also discover restraint and adjustable restraint systems to gain safe access to one or multiple edges and learn a variety of more advanced techniques such as the use of lifelines and Mansafe Systems for increased mobility and intermediate attachments for multi-user support on roof edges. Petrochem and refinery work means accessing complex structures such as chimney stacks, pipe racks, steel frames, vessels, tanks, walkways, gantry’s and fixed ladders. 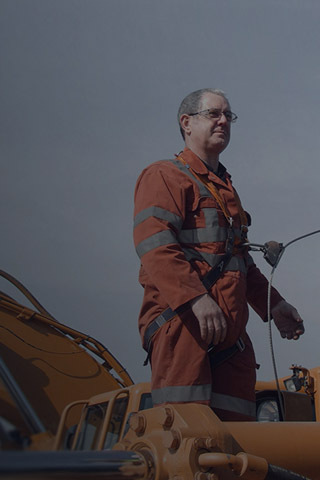 You’ll learn how to assess your level of edge exposure, identify and select appropriate anchorage points and employ fall protection systems to gain access to these structures, utilising both front and rear connections on two-point harnesses for maximum mobility across horizontal and vertical planes. Everything you need to conduct work at height in the Petrochem/refinery industry. Working with industrial ladders creates two distinct hazards: users falling from ladders and ladders slipping away from underneath users themselves. Thankfully the technology and work methods exist to stop this happening. You’ll learn how to gain safe short duration access using industrial ladders, adjustable restraint systems and stabilisers to prevent slips, moving or falling. Finally you’ll explore positioning aids for hands free work in fixed and variable locations along the side of a building for total ladder safety. As a scaffolder it’s not enough to throw on a harness and hope for the best. It needs to be worn correctly in conjunction with the right fall protection systems. The problem is it’s easy to use the wrong lanyards — you feel safe but if you’re working below the minimum required fall distance, you’ll hit the floor before protection engages. To keep you safe you’ll discover how to use fall arrest and fall restraint systems relative to your working height, and learn how to use adjustable lanyards correctly in twin configuration for 100% tie-off whilst manoeuvring on a scaffold. As a facade worker you need access to large leading edges for the installation of cladding, glazing. To do this you’ll learn how to select and use suitable anchorage locations and devices, and cleverly employ multiple adjustable restraint systems to give you localised or total perimeter edge access. We’ll also show you how to safely access hard-to-reach corners and support multiple operatives across a wide working area by adopting specialised practices like lifeline bending and intermediate attachments. Concrete structures pose two particular height safety challenges: multiple open edges around progressively expanding decking, and infill exposure between table forms. The good news is there are several access solutions available to you. Whether working with Alsipercha, lifelines or inertia reels, we’ll show you how to safely utilise rebar for anchorage points and employ any of these three protection systems to access and complete your concrete frame work safely, efficiently and with personal confidence. Work at height in demolition is highly unpredictable. Structural integrity is uncertain and strip-outs expose you to fall hazards from removed walls, floors and partial deconstruction. To gain safe access in challenging and constantly changing environments you’ll learn how to scan your work area for safe anchor points, make use of bracing, doorways and windows, and adopt temporary height access solutions such as Man Anchors when a fixed structure is unfit to use. Think on your feet, adapt and prevent the risk of accidents at height on a demolition site. Precast puts you at permanent risk of a fall from straddling steel frames and working with progressively extending leading edges while installing planks and floor panels. To stay safe we’ll show you how to identify and set-up suitable anchorage and give you the equipment and methods you to work around intricate edges as the build takes place. We’ll also explore more advanced techniques required to access precast elements such as stairwells to give you a complete skill set required for the precast industry.